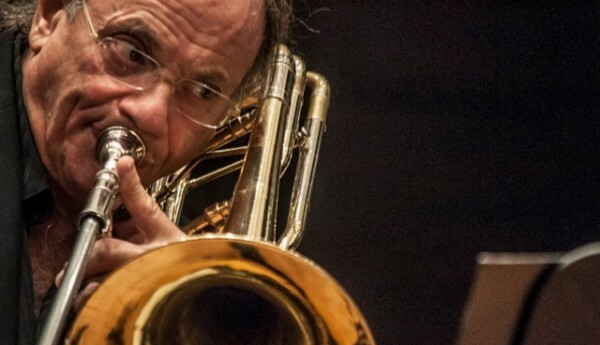 Bass trombonists don’t usually enjoy the limelight, but Dave Taylor isn’t your typical bass trombonist. 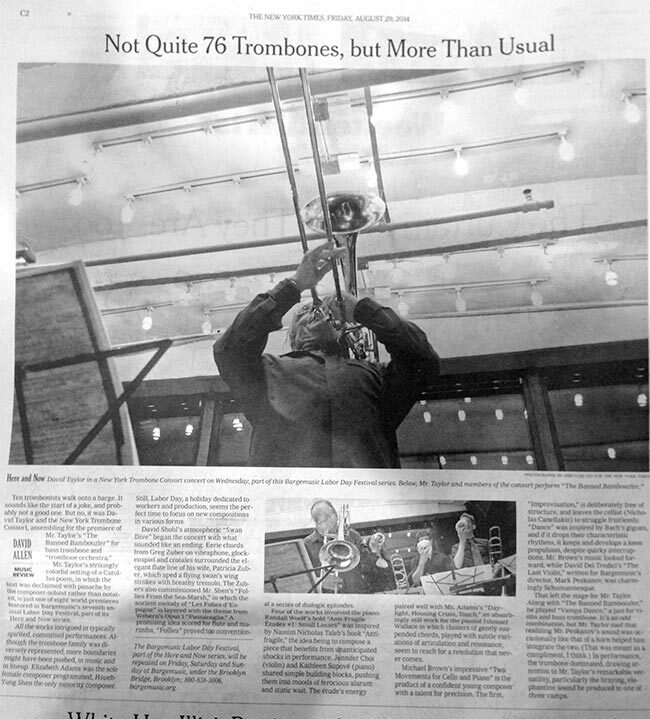 After performing Vamps Dance for Violin and Bass Trombone and The Banned Bamboozler (accompanied by the New York Trombone Consort) at Bargemusic, he scored a half page photo and article in the New York Times. The article is available online. 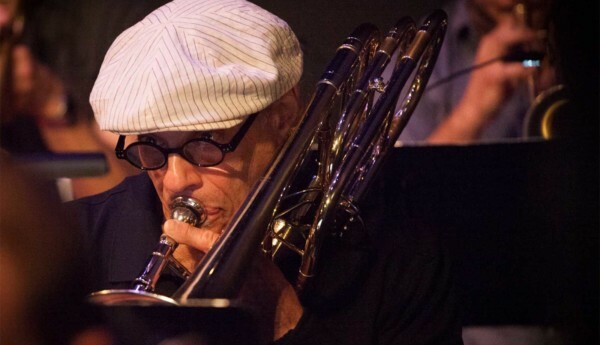 As usual, Dave has been maintaining a busy performing and recording schedule. 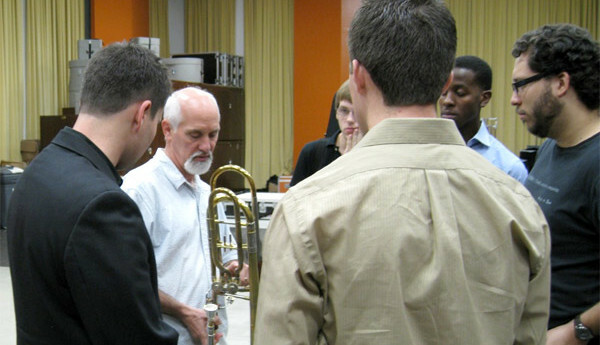 Next summer, he’s going to be a featured artist at the International Trombone Festival in Valencia, Spain. More details to follow.